Durable carbon fiber airframe, high speeds, and app-enabled control, if these features can draw your attention, let’s go on checking Carbon Flyer, the ultimate crash proof flying video drone. 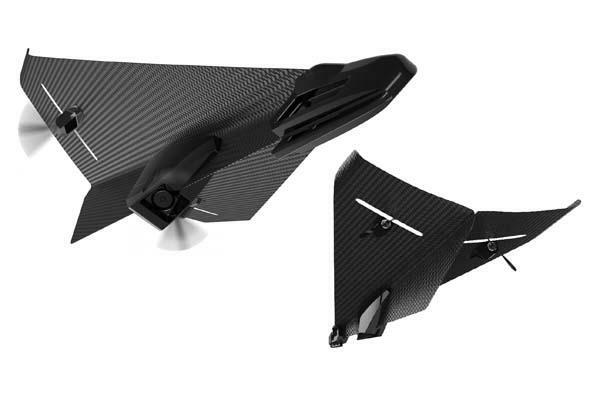 The Carbon Flyer is a durable, Bluetooth-enabled flying camera drone that measures 14.75 x 7 x 3 inches and weights 1.5 oz. 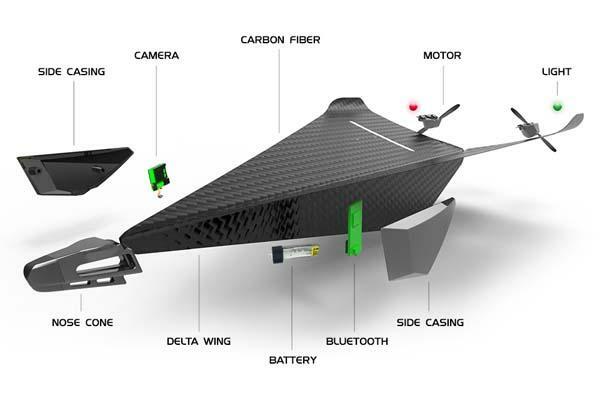 As shown in the images, the flying drone is shaped as a paper plane, but it features an ultra durable airframe made with carbon fiber, and the lightness of carbon fiber allows the flying drone for high speeds, moreover, built-in Bluetooth technology lets you wirelessly connect the plane in order that you can use your iOS or Android device to control your Carbon Flyer, and its onboard 640 x 480 regular resolution camera helps to capture amazing aerial footage. Apart from that, its rechargeable battery lasts approx 3 minutes of flight time. The team of Carbon Flyer is raising fund via Indiegogo. Pledging $99 will let you own the flying video drone. If you’re interested, jump to Indiegogo official site for more details or check out the following demo video first.